Launched in 2016, the Cleveland Foundation Public Service Fellowship immerses talented, emerging leaders from across the country in the work of Cleveland’s public sector, providing them an opportunity to develop their skills, enhance their networks, and jumpstart a career in public service. Participation in professional development that prepares Fellows for 21st century public service, administered by Cleveland Foundation staff and professionals with expertise in their fields. Immersion in the rich civic and cultural life of Cleveland, with first-hand opportunities to network and connect with a diverse array of senior leaders, organizations, and community members. Sign up for updates regarding the Cleveland Foundation Public Service Fellowship here. Ethan is a northeast Ohio native and a member of the College of Wooster’s 2018 graduating class. At Wooster, Ethan was an active member of the College and graduated with a major in Political Science. 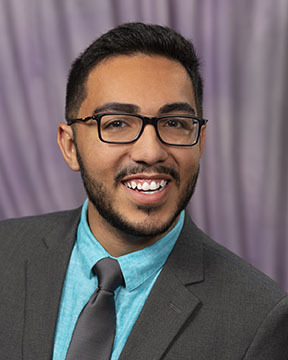 As a Fellow, Ethan will assist with the Cleveland Public Library’s Neighborhood and Community Stakeholder Engagement Plan, striving to create a more cohesive strategy of engaging Cleveland’s neighborhoods and the library’s numerous community partners. Hayford, a native Kansan, is a 2018 graduate from Case Western Reserve University in Sociology. As a Fellow, she will support the foundation’s efforts around the Purpose Built Communities initiative, addressing poverty, substandard education, unemployment, health disparities and other socioeconomic challenges in the Greater Buckeye and Glenville neighborhoods of Cleveland. Hoey, a 2017 Electrical Engineering graduate from Manhattan College, will be serving at the Cuyahoga County Office of Reentry. During his time as a fellow, he will be performing work and research on special community initiatives with internal and external work groups to discuss and implement imperative programs that will help to navigate systems of reentry and reduce recidivism while educating others on relevant legislation, laws, and statistics that impact this line of work. Chris is a native of Las Vegas, NV and a former Jesuit Volunteer who served in Cleveland. 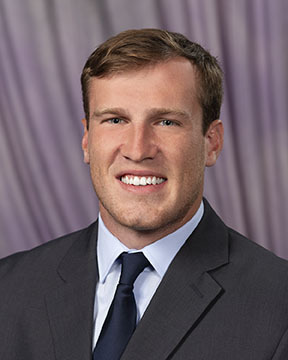 Hutchinson is a 2016 graduate of Louisiana State University in both International Studies and Political Science. 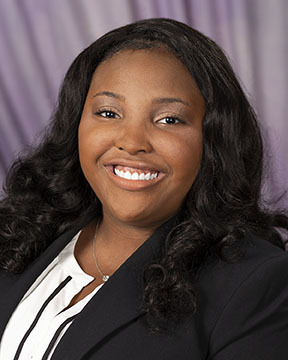 Since graduating, Courtney has served two years with City Year Cleveland, an AmeriCorps program focusing on bridging the gap in urban education. 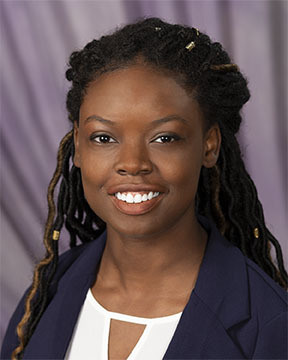 As a fellow, Courtney will coordinate efforts in the Office of Patient Experience to create a comprehensive plan to support the MetroHealth system’s community trauma initiatives. Courtney grew up in both New Orleans, LA and San Diego, CA. 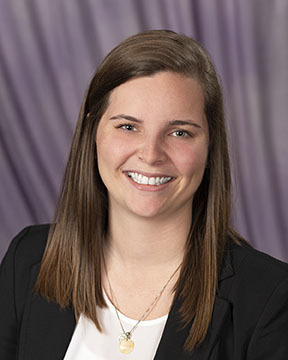 Peterson is a 2018 Denison University graduate in Sociology, Anthropology and Communication. Working within The City of Cleveland Mayor’s Office of Communications, she will support the department’s public relation strategies by communicating with City of Cleveland stakeholders and communities. Peterson’s areas of focus include media relations, social media, and general communications projects that require long-term planning and execution. She is a native of Cleveland, Ohio from the Collinwood area. 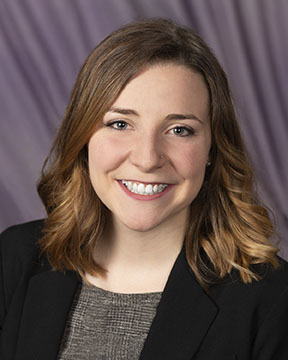 Lydia Stump is a 2017 graduate of Washington University in St. Louis with a major in anthropology and a concentration in global health and the environment. With the Northeast Ohio Regional Sewer District, she will assist in developing a sustainability plan for the District to improve its energy management and materials management, reduce greenhouse gas emissions, improve workplace culture, employ green transportation, and contribute to community resilience. Lydia is originally from Findlay, Ohio. Watkins is a 2018 Vanderbilt University graduate in Political Science and Human & Organizational Development. 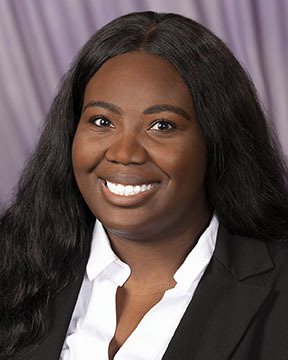 At Enterprise Community Partners, Brianna will take a multidimensional approach to help discover durable solutions to increasing economic opportunities for low-income people. Brianna will also work with Enterprise Cleveland’s director to assess possible partnerships, define success, and create the implementation framework for a new economic mobility effort. Watkins’ hometown is Decatur, Alabama. 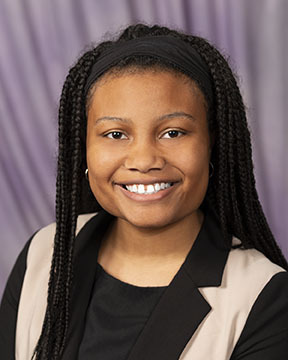 Williams is a 2018 graduate of Kenyon College in Sociology. 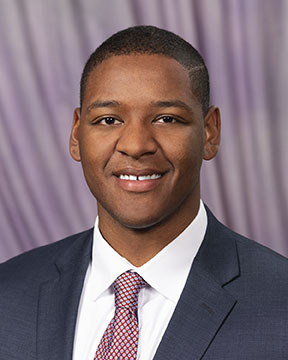 At Cuyahoga County Council, he will work alongside Policy Staff to conduct extensive legislative and policy research to provide information to council members. In addition to assisting with several ongoing projects, Williams will be granted the opportunity to tackle other Council projects of interest. Williams is a Northeast Ohio native, originally from Chesterland. Nicole is a 2018 graduate of the University of Florida in History, International Studies and African American Studies. As a fellow, she will work with the Cleveland Foundation’s Marketing and Communications team, as well as other key foundation staff and community partners, to support operational and community outreach functions for the foundation’s Common Ground initiative. Nicole grew up in Jamaica and Central Florida. Meet the 2017-18 Cleveland Foundation Public Service Fellows here. In 2017-18, host agencies included the City of Cleveland, Cleveland Neighborhood Progress, Cleveland Metroparks, Cleveland Metropolitan School District, and Cuyahoga County. Meet the 2016-17 Cleveland Foundation Public Service Fellows here. In 2016-17, host agencies included Cleveland City Council, the Cleveland Foundation, Cuyahoga County Office of Innovation and Performance, Cuyahoga Metropolitan Housing Authority (CMHA), MetroHealth, and the Northeast Ohio Areawide Coordinating Agency (NOACA). Each Fellow will be matched with a public sector agency with a supportive corporate culture and a commitment to providing opportunities to develop leadership and innovation. In addition to potential placements within local government, selected public service agencies may also include those which provide a range of public goods and services, such as education, healthcare, housing, transportation and water. 2018-19 host sites will be listed once selection is finalized. The Cleveland Foundation exists to enhance the quality of life for all citizens of Greater Cleveland. The ability to carry out our mission and to foster a commitment to excellence can best be pursued if our workforce, grantees, donors, partners and governing body include individuals of diverse backgrounds, beliefs and perspectives. The foundation, in partnership with its host sites, is committed to ensuring diversity and inclusion across all of Cleveland’s public sector agencies by using this fellowship as a catalyst for developing a pipeline of future leaders for Northeast Ohio.